The India Meteorological Department (IMD) had announced a deficit monsoon this year. Skymet, a Noida-based private weather forecasting agency, on the other hand, had predicted normal rains. At the end of the season, the forecast made by IMD turned out to be correct. This was not just a case of one wrong prediction. It is symptomatic of a larger problem. India has seen a rise in the number of private weather forecasting agencies in recent times, with the current figure hovering around 10. But there is no regulatory authority to monitor them or to hold them accountable. This is risky, particularly because private forecasters are also tying up with insurance companies, who use weather data to grant insurance claims to farmers in case of a crop failure. The present set-up is prone to manipulation and corruption, as was seen in the Churu district of Rajasthan. In 2012, crop yield in Churu was low. Convinced that it was because of bad weather, farmers approached ICICI Lombard, a private company empanelled by the government to provide crop insurance, for their claim. The company refused, saying that the weather data of the district, which was provided by the National Collateral Management Services Ltd (NCMSL), a private weather agency, showed that temperature and humidity levels were normal. However, farmers too had been making a copy of data from the automatic weather stations (AWS) installed by NCMSL in the district. “We realised that the infor-mation available with ICICI was fudged,” says Nirmal Prajapat, head of All India Kisan Sabha, Churu. The state government intervened and asked the Indian Institute of Tropical Meteorology, Pune, for its view on the weather data. The institute said that its weather data for the period was in consonance with the data collected by the farmers. Consequently, ICICI Lombard paid Rs 250 crore insurance to farmers. Though farmers in Churu got their due, no investigation was conducted to establish how the data had been fudged or who was responsible. During the settlement, ICICI claimed that it would change its weather agency, Prajapat says. They have now brought in Skymet to provide them weather data for next year. But this would not help the farmers. 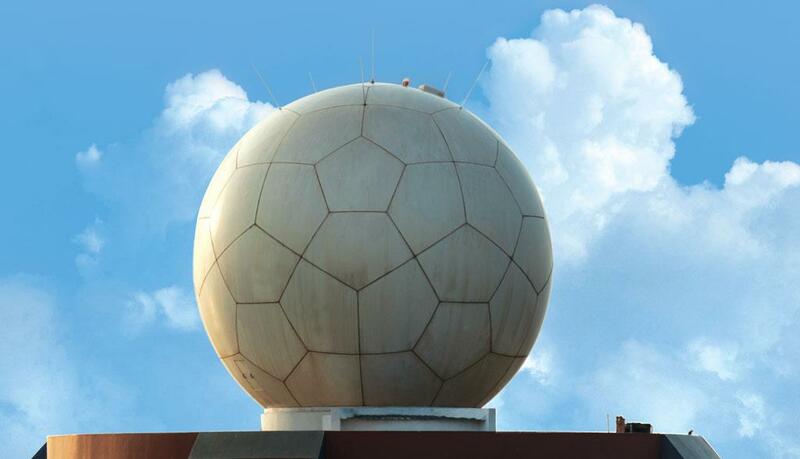 “NCMSL’s weather station could record and store data for 24 hours. We collected and recorded that data to verify ICICI’s claims. But Skymet’s stations only show the current data and do not store information. Now we cannot retain weather data for verification,” Prajapat adds. The Weather-Based Crop Insurance Scheme (WBCIS) under the Union government’s National Crop Insurance Programme (NCIP) provides insurance coverage and financial support to the farmers in the event of crop failure due to adverse weather conditions. These conditions include deficit, unseasonal or excess rainfall, heat, frost, hailstorm and cloudburst. WBCIS depends on private weather agencies for data regarding temperature, wind and other parameters. NCIP has empanelled four private weather agencies and 10 private crop insurance companies to install AWS for recording the weather parameters. According to NCIP officials, the empa-nelled weather agencies which provide their weather stations to collect data for crop insurance are third-party companies selec-ted by the state or district authorities. However, there is no mechanism to verify the data provided, though NCIP claims that it has provisions for regular monitoring of AWS by government authorities. Rajas-than government officials say that they regularly check AWs in the state to see if they function properly. “In case a weather station is not working, we collect data from the surrounding stations to determine the weather parameters of that area,” says B S Chaturvedi, joint secretary, crop insu-rance, Government of Rajasthan. This lack of clarity in the roles of government bodies is due to the absence of a regulatory authority, say experts. In countries like the US, which has a booming industry of private weather agencies, the Federal Aviation Agency regulates them, formulating the operational terms and conditions. In case of fudging of data or other frauds, they face strict action by the state. Maria A Pirone of Atmospheric & Environmental Research, Massachusetts, USA, says that due to climate change and erratic weather, demand for weather-related data will increase. A presentation she made in 2007 showed that the market of private weather companies in the US doubled between 1995 and 2007. Apart from sectors like farm insurance and power, other sectors such as construction, will also require weather data. As national agencies do not provide such customised services, private companies are bound to tap this emerging market. Meanwhile, the market for private weather agencies in India is also seeing a steady growth. Skymet is the most popular private weather forecast agency in India. Set up in 2003, it has about 2,700 weather stations across the country, the maximum number owned by a private weather agency. Maharashtra and Rajasthan are two of its biggest markets, says A V M Sharma, deputy director of the agency. Of the 50 AWS in Churu, 30 belong to Skymet. “We tell crop insurance companies in advance about geographically risky areas for the given crop season,” says Sharma. Experts say that with increasing weather fluctuations, the market for private forecas-ting agencies will only rise, and along with it, the need for a regulatory body.